The Showgrounds Shopping Centre is a prestigious 117,000 sq ft retail development, adjacent to Clonmel Town Centre. The Showgrounds brings an unbeatable range of premier retailers and brands to the Clonmel area. The Showgrounds has a strong fashion focus with Marks and Spencer as an anchor tenant and including TK Maxx, Argos Extra and a host of fashion retailers. Food and lifestyle Retailers include Easons, BB’S Coffee & Muffins, M&S Food Hall and Costa Coffee. The Showgrounds Shopping Centre is conveniently connected to the strategic national road network via the N24 and the N8. Clonmel is a designated regional shopping destination and the main retail centre for South Tipperary. 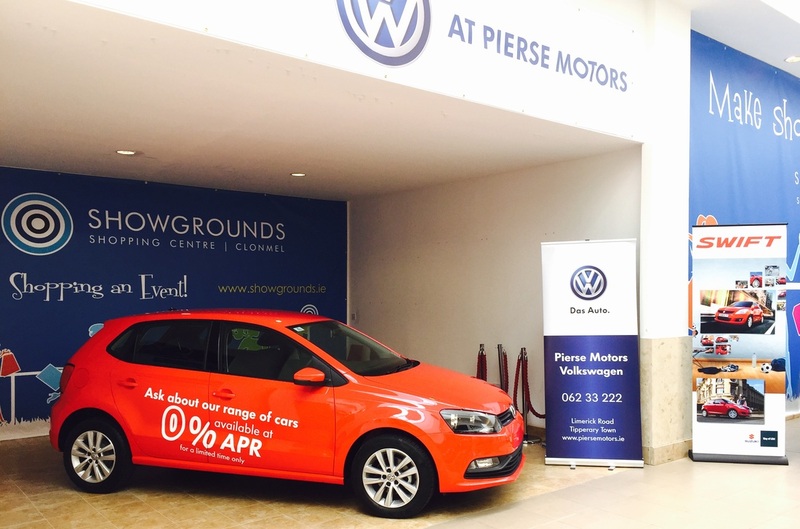 The Showgrounds is an ideal venue for promoting your product/service. The centre regularly hosts product launches, national campaigns, roadshows, sampling activities, brand enhancement campaigns and much more. An exact description of the promotion activity must be provided, along with the promotion dimensions and visuals (where available). Promoters must supply evidence from their insurance broker that they have a minimum of Public/Products Liability of €6.5 million and Employers liability of €13 million and confirmation that this cover extends to cover the proposed activity in the centre. These are dependent upon length of the planned activity and vary in terms of seasonality. Please email info@showgrounds.ie or call 052 61 89080 for more information.